Ripped from the headlines of the Weekly World News: “Found in West Virginia Cave – a half boy, half bat!” When three spelunking teens are attacked by a mutant creature in a cave outside of Hope Falls, WV, they drag him back to the town Sheriff. Unsure where to put him, the Sheriff delivers the bat boy to the local veterinarian Dr. Parker, whose wife takes in the bat boy to raise as her own. Renamed Edgar, the bat boy learns to speak, becomes civilized, and falls in love with the vet's daughter. Meanwhile, strange things are happening around Hope Falls and with a jealous Dr. Parker determined to undermine Edgar's hold on his family, things don't look too hopeful for Edgar. Will Edgar be able to convince the townsfolk to accept him or will shocking events reveal horrifying truths? Bat Boy: The Musical debited in 1997 at the Actors Gang Theatre in Los Angeles. The musical, written by Keythe Farley and Brian Flemming with music by Laurence O'Keefe (Legally Blonde), moved to Off-Broadway in 2001, winning the Lucille Lortel and Outer Critics Circle Awards for Best Musical and later became Best of Fringe at the prestigious Edinburgh Fringe Festival Featuring and eclectic score that ranges from rap to gospel to classical, the show is a mix of affectionate irreverence and hilarious plot twists. 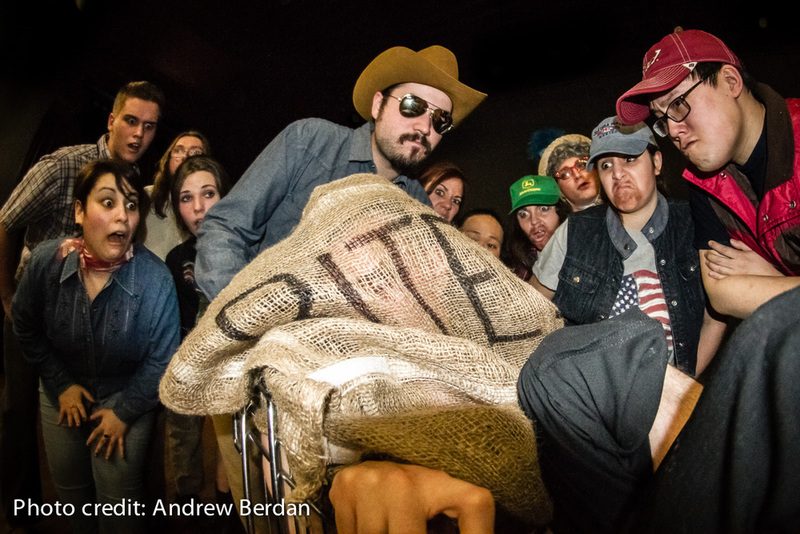 The New York Times declared “it's remarkable what intelligent wit can accomplish” and Curtain IP called Bat Boy's wacky buy witty cult in-the-making show much like The Rocky Horror Picture Show. Dare to be spooked and laugh out loud at this surprising tale that exposes the best lurking in all of us. Jesus Christ Superstar, part Dracula, part My Fair Lady, this is a masterpiece of issue-strewn, big-hearted, comic horror. Are you ready for Bat Boy? Full of humorous satire but not light on meaning, Bat Boy: The Musical doesn’t necessarily take traditional musical conventions too seriously but is also giving the local cast a good vocal workout. 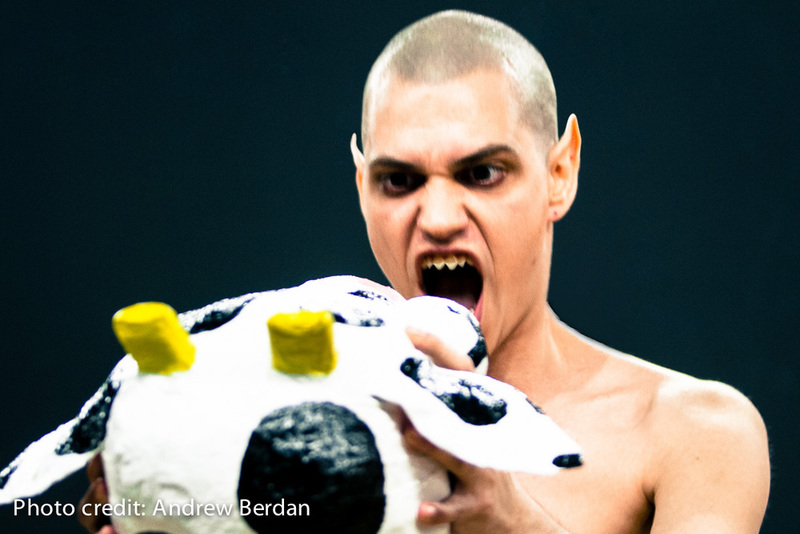 At its heart, Bat Boy is about being yourself, finding acceptance and facing diversity in life - but it gets to do this in a way that is off-beat, funny and somewhat darker than your typical musical. Imagine a play that uses humour and music to address issues ranging from bigotry and bullying to finding acceptance and even interracial dating. Well, considering the lead character is half-boy and half-bat, maybe inter-species dating. Director/Producer Garrett Rodman and Choreographer Kathryn Mitchell should be given credit for assembling such a strong cast and presenting a show whose aesthetic is at once morally complex but at the same time a production that is exhilarating and delightful. @mtp_london @mtpbatboy Congratulations, it was well deserved! Amazing job by the whole cast, I loved it! @mtpbatboy waz great!!!!!!!!!! I recommend it to all!